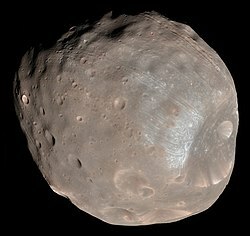 ^ a b c Rosenblatt, P. (2011), "The origin of Martian moons revisited", Astron. Astrophys. Rev. (2011) 19:44.